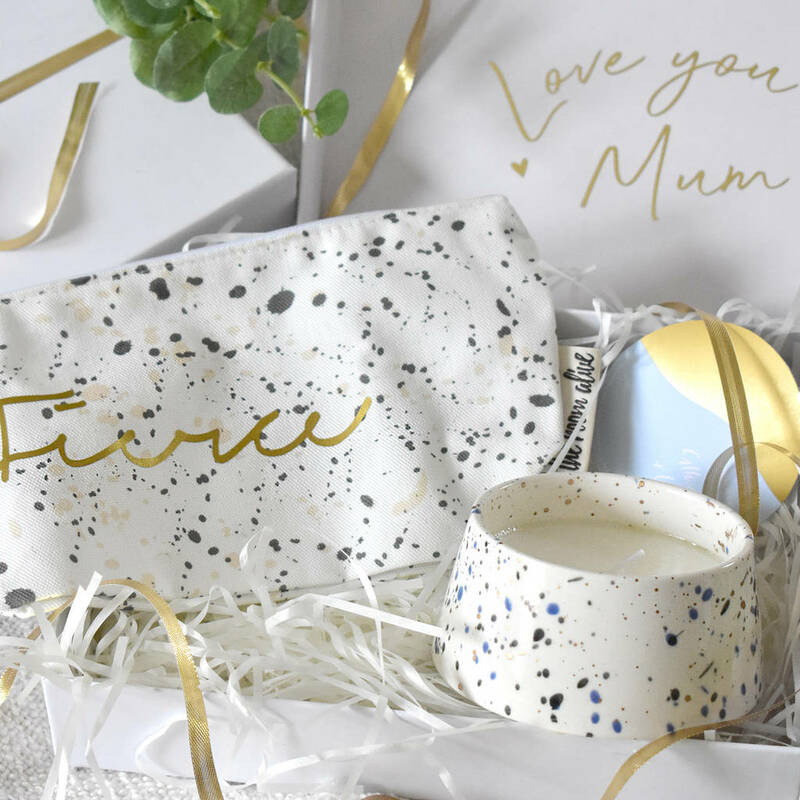 A gift set featuring splatter design make up toiletry bag and a matching candle lovingly wrapped in a gift box with a personalised message. A trendy make up toiletry bag lined inside and a matching salt water and lily candle. Use the bag as a wash bag for an overnight stay, or as a make up bag at home or on the go. Made with 100% cotton and lined inside. 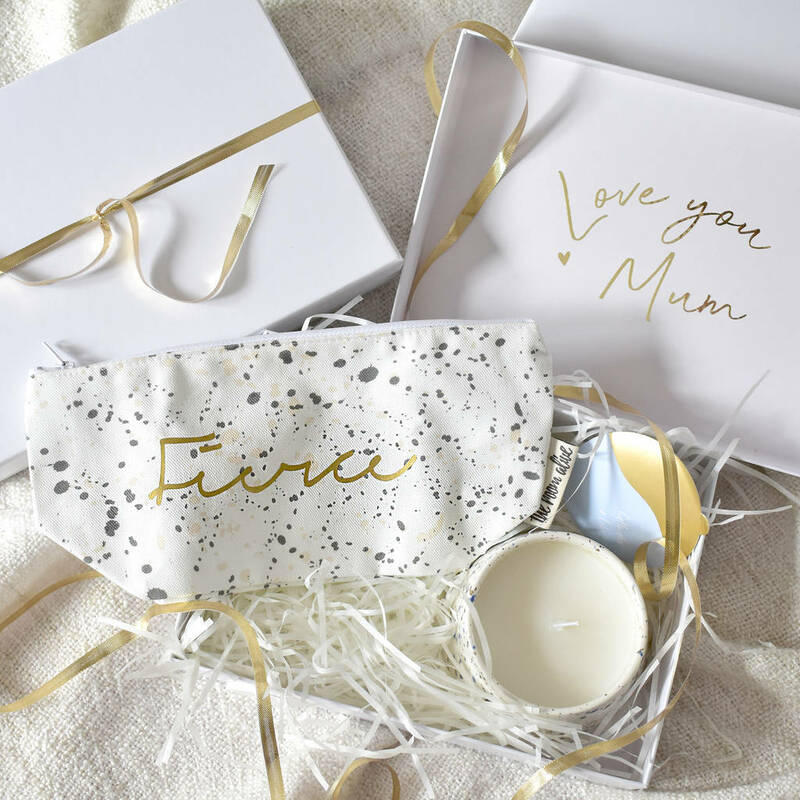 The gift set makes a great gift for bridesmaids, birthdays or any occasion. 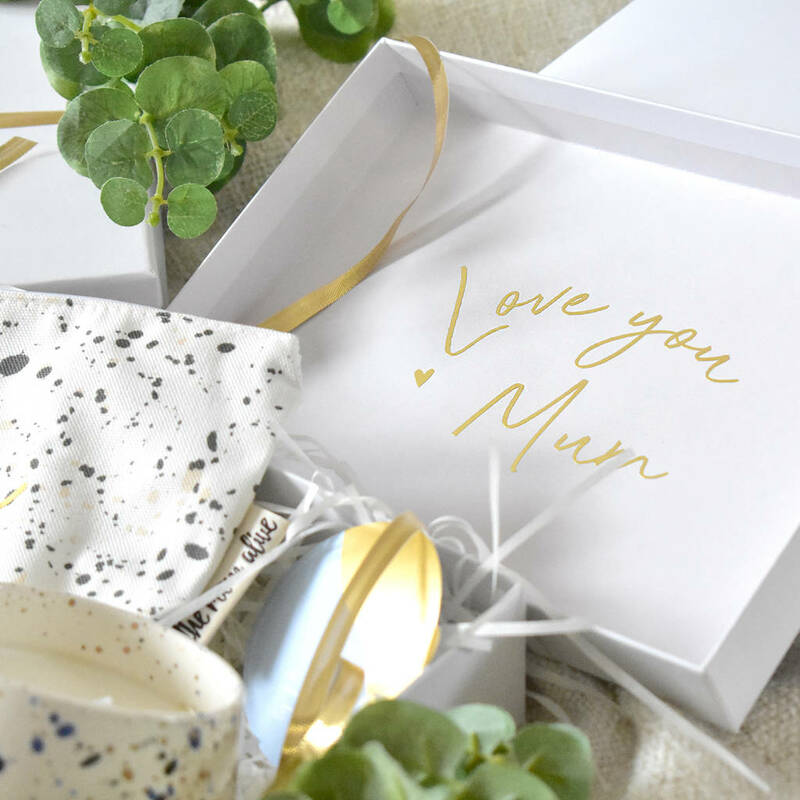 The gift box can be personalised with the text of your choice. Get their name written on it, a special date or a cute message. Comes in an A5 box with gold foiled, black, rose gold or pink message inside. Toiletry bag made with 100% cotton and lined inside. This product is dispatched to you by The Room Alive.